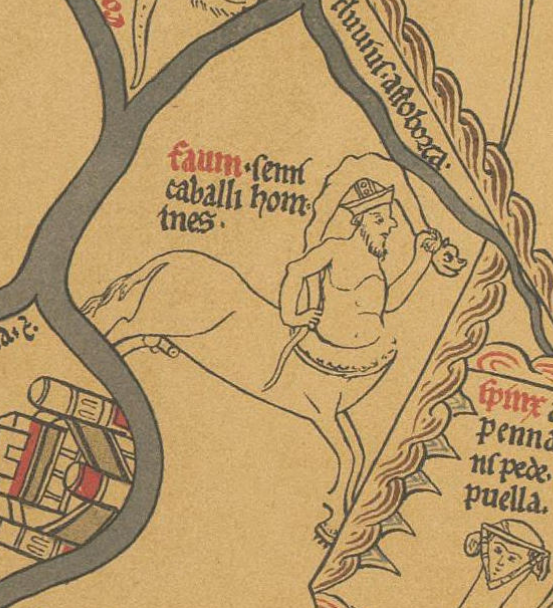 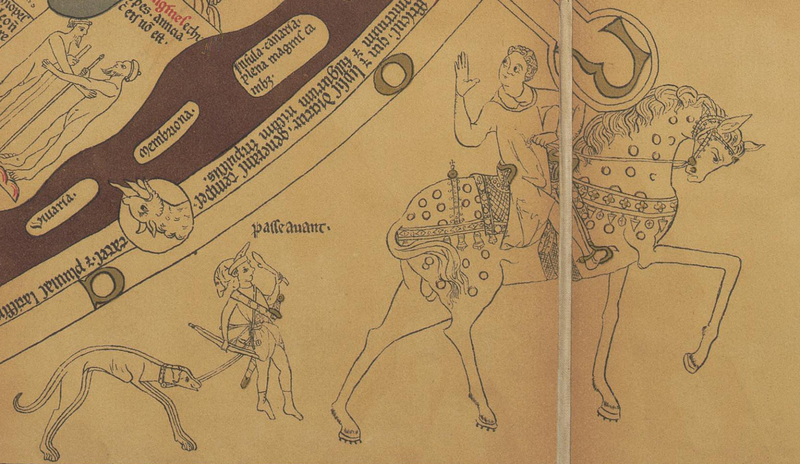 Mappa Mundi - a medieval map (XII-XIII century map, at least per horse tack) from Hereford cathedral in England. 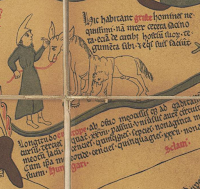 Rider portrayed with an archer in tow and a hunting dog on leash. Horse is a palfrey, spotted and highly trained while his trappings and harness is of high quality and richness, including wide breaststrap (eg Chronica Majora by Matthew of Paris) and very unusual crouper (with small bells? ) similar to the ones portrayed in the Liber ad Honorem Augusti.